Did you all have a Merry Christmas? We did! It has been wonderful having my son here for a week! So sad he is leaving tomorrow...I'll miss that guy. I have this wall that's at an angle in the kitchen and decided it would be an excellent accent wall. 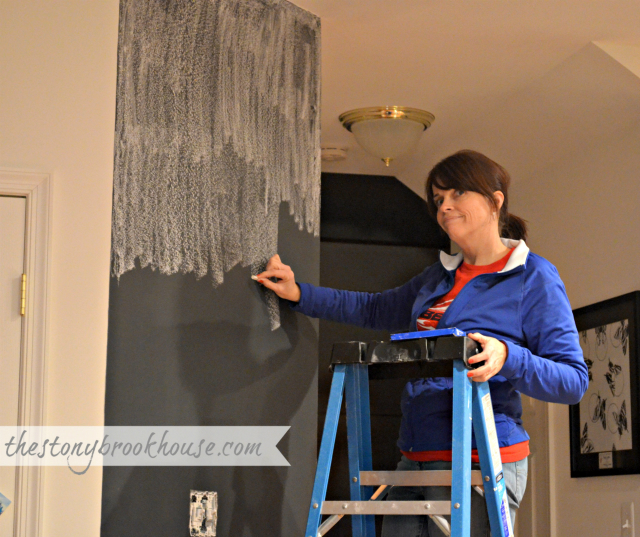 So, I jumped in with both feet, grabbed my 10 yr old can of chalkboard paint from the basement and started painting! 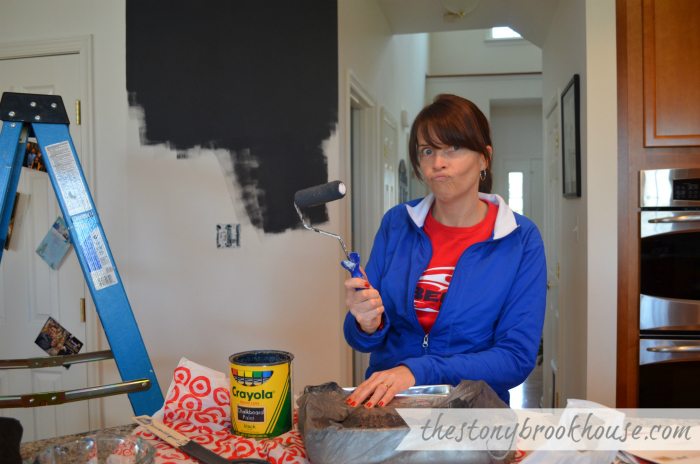 Once I got started, I was determined to finish the whole project! 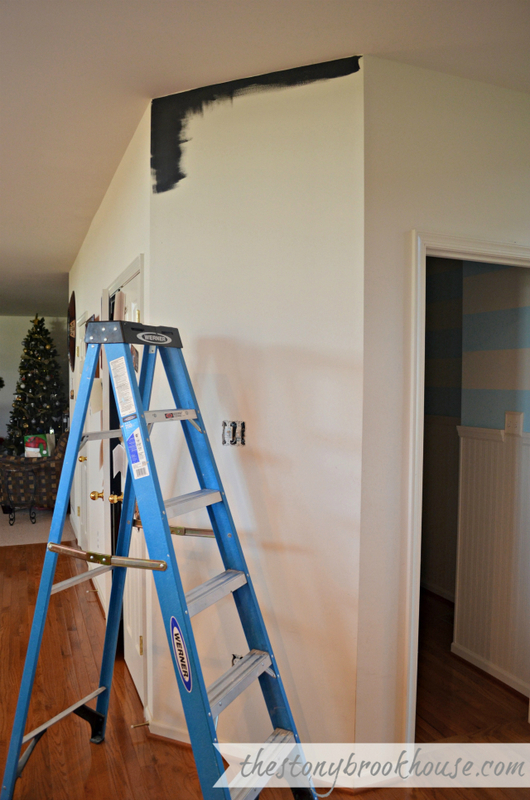 No taping, no drop cloth... That's just how I roll. I didn't even put on painting clothes. 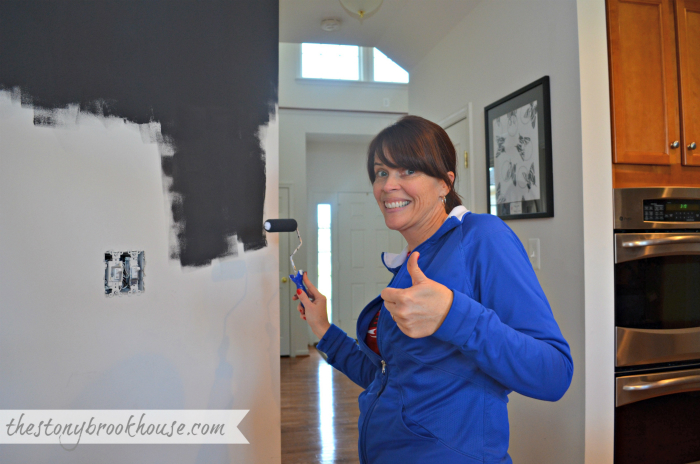 Thank goodness, I'm a pretty neat painter! I painted 2 coats without any issues. 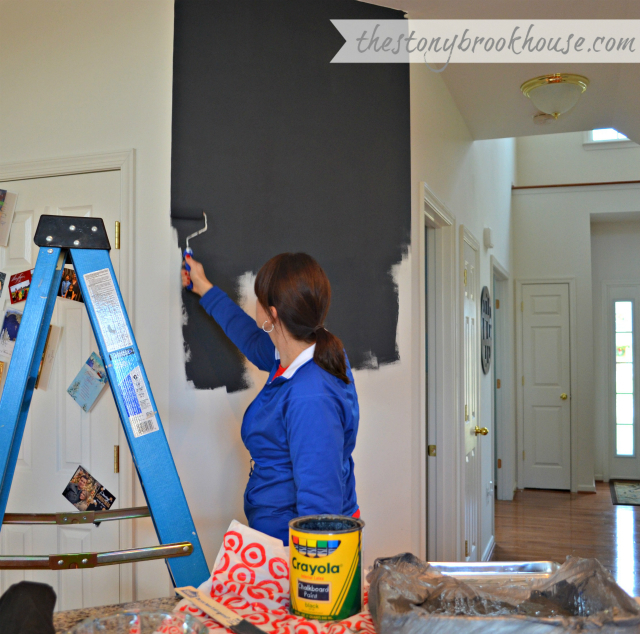 Next the wall needs to be "chalked". 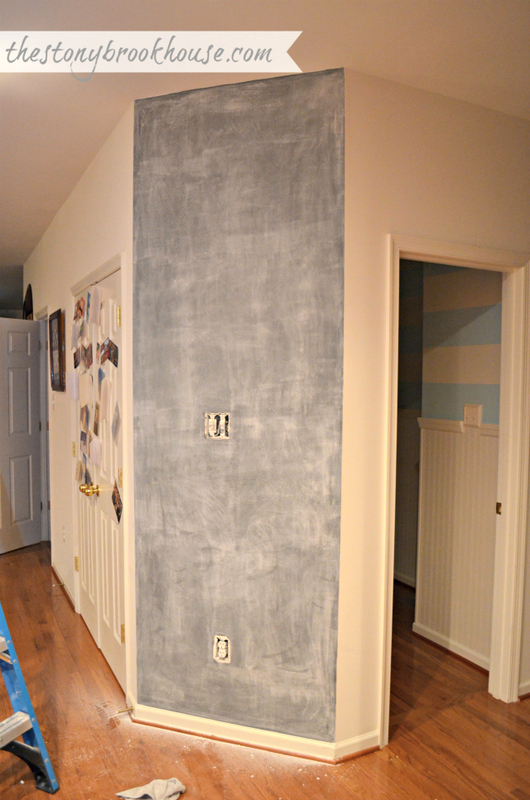 This allows the writing to be easily erased and you won't have words and such permanently on the wall. I vacuumed up the mess and was ready to start on the scripture verse. 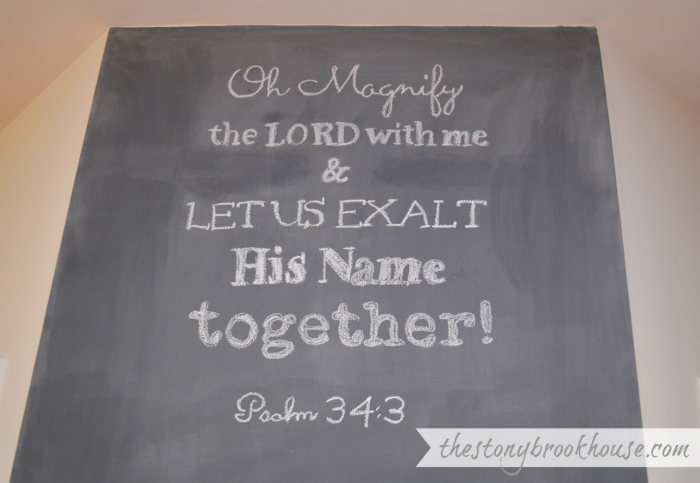 I've always wanted to put scripture on the walls of my home. I chose this one for now... I thought it would be a good one for our New Year's Eve Party. I made this on PicMonkey and printed it up. Then I slid it into a sheet protector and traced the words. I explained this in a bit more detail in my DIY Overhead Light Projector post. 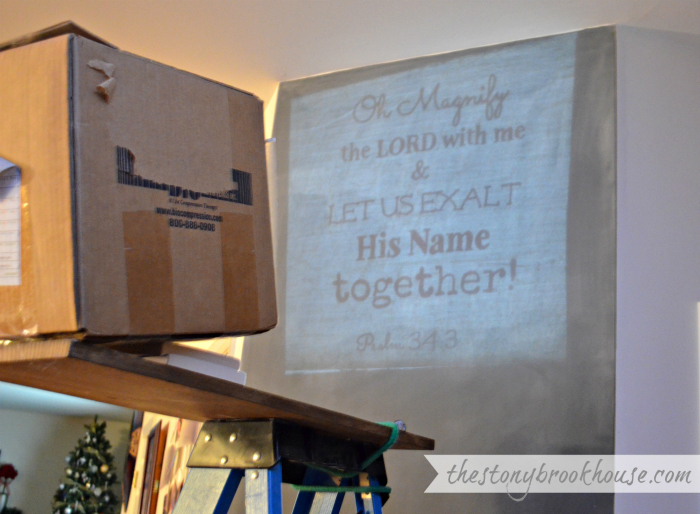 Have you ever made your own DIY Projector? It's soooo EASY! Check it out! 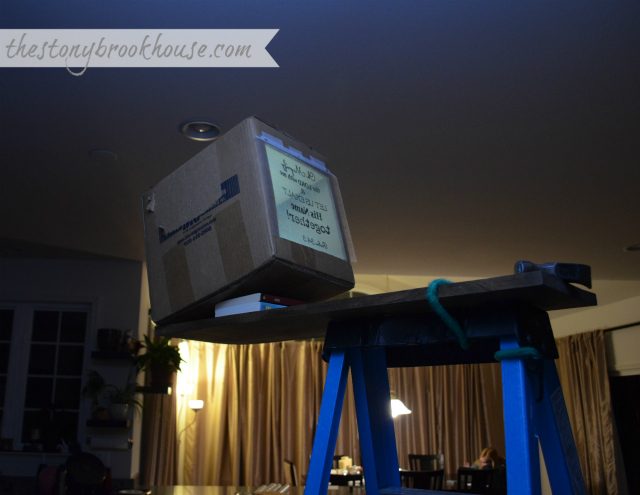 Board, books, bungee and a hammer. But LOOK!! Wow! I see sooo many possibilities right now!! This turned out perfect! Later on my sweet daughter is going to add some art to dress it up. 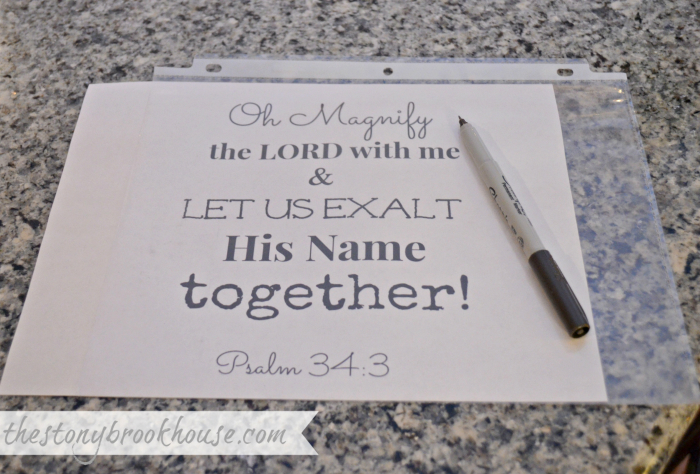 Oh Magnify the Lord with me & Let us exalt HIS name together!